Why and with what consequence? Currently works part-time as a waiter, Manor House Hotel, Foxhills, Surrey. Develops social voting app. Formerly Assistant to Dr Matthew Goodwin for British Academy funded research project on 2015 General Election campaign. ESRC sponsored doctoral researcher (Politics) supervised by Prof. Oliver Heath and Dr Nick Allen at Royal Holloway, University of London. Teaching: Undergraduate Statistics modules. MSc (Distinction) in Politics, Royal Holloway, 2012. Educated at Bryanston School; Hull University, BA Hons, Politics, graduated in 1994. 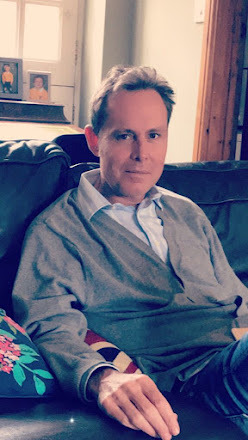 Worked as a parliamentary lobbyist (BFSS); political market-maker (Sporting Index); strategy consultant (Channel 4 Interactive); Head of Product; Head of Poker (Ladbrokes) 1999-2006; Head of Games (Betfair) 2007-2009. Academic interests include online campaigning (especially gamified online campaigning), protest, Africa, quantitative methods. 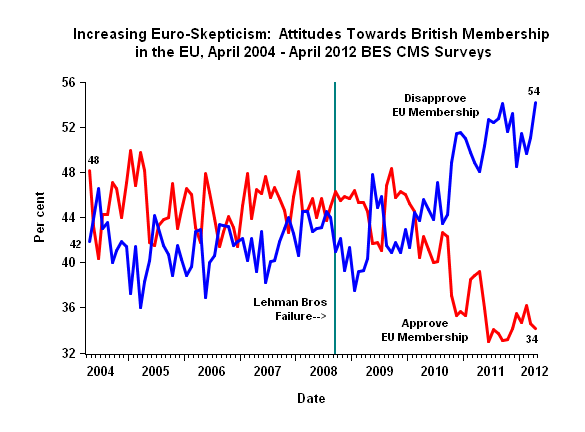 Researching British attitudes to EU, especially effects of financial crisis and immigration. 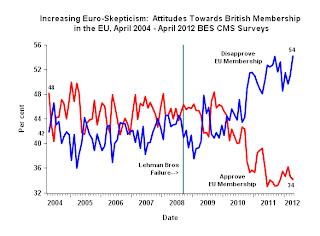 My blog piece (Oct) explores how academics specialising in voting behaviour are about to mislead us with a derogatory two-dimensional picture of British public attitudes towards the EU (cognitive / economic / rational VERSUS emotional, identity driven - from the unconcious). The piece draws on this award winning four-part documentary by Adam Curtis (2002). Critical of the psychoanalytical tradition set down by Freud at the beginning of the 20th Century, it describes the catologue of disasters when political elites and Freud's disciples have subsequently tried to either control the base emotional desires of the crowd located in their unconcious, by a) repressing them (a paternalistic tradition) or b) setting them free (an anti-system post-Marxist tradition of social liberation). What I think Curtis advocates in his film is a libertarian respect for individuals where any form of political manipulation is worse than trusting the public. Winning Documentary of the Month (Dec) - The Mayfair Set. A rousing paean to the bucaneering free-marketeers who took on the Briitish Establishment and their management of post-war decline. They were described as 'The Mayfair Set' because they congregated at John Aspinall's casino in Berkeley Square, called the Clermont. Losing Podcast - Paternalism and believing in 'Crowd Wisdom' don't mix, there is no third way. Richard Thaler in praise of behavioural economics. He is the arch 'nudger', political partnernalist and therefore sceptical of crowd wisdom. And OMG he's now won the Nobel Prize for Economics! He would go in my Room 101, along with Freud and family. A genuine bad boy. Please read more in my October 2015 blog 'Sigmund Freud & Family have a lot to answer for - a rant against Freudianism in theory and practice'. 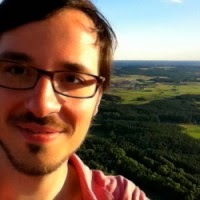 Andreas Murr (Oxford). Predicted 292 Tory seats at the General Election with his constituency-level 'crowd wisdom' model. This was based on voter expectations of the result rather than their intentions to vote for different parties (as per traditional political polling which failed so abysmally). The model was the second most accurate of twelve alternatives presented at the LSE Forecasting Conference in March of this year. Dr Stephen Fisher (electionsetc.com) was closest to the result of 331 with a prediction of 296. Andreas' model was my favourite however, for its simplicity, originality and long-term potential. The accuracy of 'expectation polling' is less sensitive to error derived from non-random probability sampling techniques used in conventional online polling. Therefore this data is particularly suitable to online collection, using vast and fast-growing self-selected panels. These are also ideal for asking the large number of respondents demanded by 'wisdom polls' at the local level, i.e. perhaps 50,000+ respondents. Such large samples were not deliverable in 2015 via online collection (Ashcroft used telephone polling for his constituency polling). However, at the next election, due to the rapid growth in the populations of online panels and increasing competition between providers, these online panels may not only be available, but at a fraction of today’s cost. Albert Tapper, All rights reserved, Oct 2017, London, England. Simple theme. Powered by Blogger.